Andreessen Horowitz (also called a16z) is a private American venture capital firm, founded in 2009 by Marc Andreessen and Ben Horowitz. The company is headquartered in Menlo Park, California. Andreessen Horowitz invests in both early-stage start-ups, which may raise just $50,000, and established growth companies, which often raise tens of millions of dollars. Its investments span the mobile, gaming, social, e-commerce, education and enterprise IT (including cloud computing, security, and software as a service) industries. Marc Andreessen (left) and Ben Horowitz (right) are the company's founders. Between 2006 and 2010, Andreessen and Horowitz actively invested in technology companies. Separately, and together, they invested $80 million in 45 start-ups including Twitter. During this time, the two became known as super angel investors. On July 6, 2009, Andreessen and Horowitz launched their venture capital fund with an initial capitalization of $300 million. In November 2010, the company raised another $650 million for a second venture fund, at a time when the field of venture capitalism was contracting. In less than two years, the firm was managing a total of $1.2 billion under the two funds. In May 2011, Andreessen Horowitz ranked as the number 1 venture capital firm by Investor Rank, based on the firm’s networks and level of syndication with other venture firms. 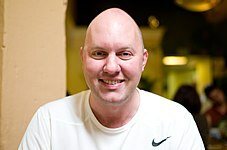 Andreessen ranked number 10 on the 2011 Forbes Midas List of Tech’s Top Investors while he and Horowitz ranked number 6 on Vanity Fair’s 2011 New Establishment List and number 1 on CNET’s 2011 most influential investors list. As of March 27, 2014, the firm managed $4 billion in assets after the closing of its fourth fund at $1.5 billion. In addition to Andreessen and Horowitz, the firm’s general partners include John O’Farrell, Scott Weiss, Jeff Jordan, Peter Levine, Chris Dixon, Vijay Pande, Alex Rampell, Martin Casado and Andrew Chen. In March 2019, it was reported that Andreessen Horowitz was opening an office in San Francisco. In 2009, Andreessen Horowitz made its two first investments: one in business management SaaS developer Apptio and the other in Skype stock. The investment was largely seen as risky because many believed Skype would be crippled by intellectual property litigation (initiated by Skype’s founders) and direct competitive attacks from Google and Apple. "When we bought the company from eBay, many thought that Skype, like so many acquired technology companies, had lost its technical talent," Horowitz told The Wall Street Journal. "Through our research, we found that Skype had a core group of engineers who were completely dedicated to the mission. They stayed through the eBay acquisition and were hugely determined to make Skype the communications company of the future." The gambit paid off when Skype was sold to Microsoft in May 2011 for $8.5 billion. 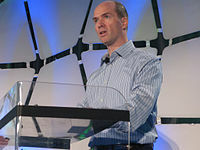 In 2010, Andreessen Horowitz invested $10 million in cloud company Okta while leading its Series A Round. In 2011, Andreessen Horowitz invested $80 million in Twitter, becoming the first venture firm that held stock in all four of the highest-valued, privately held social media companies at the time: Facebook, Groupon, Twitter, and Zynga. Andreessen Horowitz has also invested in Airbnb, Lytro, Jawbone, Belly, Foursquare, Stripe and other high-tech companies. In 2012, Andreessen Horowitz invested in 156 companies, including the 90 companies in its portfolio, and 66 start-ups through its funding of Y Combinator's Start Fund. They invested $100 million in GitHub, which netted over $1 billion for the fund when GitHub was acquired by Microsoft for $7.5 billion. In 2013, Andreessen Horowitz invested in Clinkle, Coinbase, Databricks, Lyft, Oculus VR, PagerDuty, Pixlee, Ripple, Soylent, Swiftype and uBiome. In 2014, the firm led a $57 million Series B round in the A/B testing startup Optimizely, invested $90 million in company Tanium, invested $50 million in BuzzFeed, and led an $11.1 million Series A round in intent-based networking startup Forward Networks. In 2015, the firm invested $40 million in Stack Exchange, $2.8 million in Distelli, $80 million in cloud-based CAD software company Onshape, $57 million in the blogging platform Medium, $25 million in Samsara,  $20 million in Improbable, $15 million in Honor, Inc., $1 million in a blockchain startup OpenBazaar, and $2 million in nootropics and biohacking company Nootrobox. In 2016, the firm led an $8.1 million Series A round in Everlaw, a legal technology company, and led a $3.5 million Series Seed round in RapidAPI, an API connection platform for developers. The firm also invested $2 million in Cardiogram, a digital health company. The firm also invested in food science business Apeel Sciences in 2016. In 2017, the firm invested in Sigma, Health IQ, Asimov and Cadre. In 2018, the firm raised $300 million for a dedicated cryptocurrency fund. The firm invested in Imply, Smartcar, PeerStreet, CryptoKitties, Dfinity, Earnin, Pindrop, Tenfold, and Very Good Security. The firm is structured differently from most other venture capital firms in several ways. Instead of having general partners who specialize in a specific industry, each Andreessen Horowitz partner works on behalf of all its portfolio companies, an approach modeled after the Hollywood talent agency, Creative Artists Agency. Andreessen Horowitz helps the start-ups it invests in with everything from recruiting to public relations. Margit Wennmachers, a marketing veteran who joined Andreessen Horowitz in 2010, is among the few venture capital marketing executives at the partner level. The firm has developed a database of top designers, coders, and executives and uses it to help fill positions at its start-ups. Andreessen Horowitz has 11 staff members (as of September 2011) dedicated to recruiting, which is unusual for a venture capital firm. Former U.S. Treasury Secretary Larry Summers became a special advisor to Andreessen Horowitz in June 2011. Summers works with the firm’s portfolio companies that are seeking existing market restructuring and global expansion. In September 2012, former Washington D.C. mayor Adrian Fenty was appointed Andreessen Horowitz’s second special advisor. Fenty advises the firm’s portfolio companies on working with local, state, and federal governments. In 2019, the firm applied to restructure as a registered investment adviser, in order to have more freedom to take up riskier bets like crypto. ^ Arrington, Michael. "Andreessen Horowitz Celebrates First Year With New General Partner John O'Farrell". News. TechCrunch. Retrieved April 14, 2012. ^ a b c Horowitz, Ben. "Andreessen Horowitz has a new $200m Co-Investment Fund". ben's blog. Andreessen Horowitz. Retrieved April 13, 2012. ^ a b Wong Kromhout, Wileen. "Ben Horowitz MS '90". UCLA Engineering. UCLA. Archived from the original on February 12, 2012. Retrieved April 13, 2012. ^ a b c d Maney, Kevin (July 6, 2009). "Marc Andreessen puts his money where his mouth is". CNNMoney. CNN. Retrieved April 13, 2012. ^ Cain Miller, Claire (November 3, 2010). "Andreessen Horowitz Starts Second Fund". The New York Times. Retrieved April 14, 2012. ^ Schonfeld, Erick. "The Top 10 VC Firms, According To InvestorRank". Top 10 Overall VC Funds. TechCrunch. Retrieved April 13, 2012. ^ "#10 Marc Andreessen". Midas List Tech's Top Investors. Forbes. Retrieved April 13, 2012. ^ "The 2011 New Establishment List: And the Top Spot Goes to..." VF Daily. Vanity Fair. Retrieved April 13, 2012. ^ "Marc Andreessen and Ben Horowitz". CNET News. CNET. Archived from the original on February 8, 2012. Retrieved April 13, 2012. ^ Dillet, Romain. "Andreessen Horowitz Raises Massive New $1.5 Billion Fund". a16z. TechCrunch. Retrieved May 15, 2014. ^ "Team – Andreessen Horowitz". a16z.com. Retrieved January 15, 2017. ^ "An Uber executive is now the newest shot-caller at Andreessen Horowitz". Recode. Retrieved April 11, 2018. ^ The Associated Press (June 30, 2018). "Barack Obama visits venture capital firm on California trip". ABC News. ^ Kawamoto, Dawn (March 11, 2019). "Venture capital powerhouse is latest Silicon Valley firm to open San Francisco office". www.bizjournals.com. San Francisco Business Times. Retrieved March 16, 2019. ^ Ricketts, Camille (August 19, 2009). "First Andreessen Horowitz investment, Apptio, raises $14M". Venture Beat. Retrieved March 20, 2014. ^ a b c d Ovide, Shira (May 10, 2011). "Microsoft-Skype Deal: Andreessen Horowitz Takes Victory Lap". The Wall Street Journal. Retrieved April 14, 2012. ^ "Okta Is Now a Unicorn After $75 Million Funding Round". Recode. Retrieved October 15, 2017. ^ Rao, Leena. "Customer Loyalty and Rewards Program For Local Businesses Belly Raises $10M From Andreessen Horowitz". News. TechCrunch. Retrieved April 14, 2012. ^ "Seed Round - Stripe". Crunchbase. Retrieved February 19, 2019. ^ Gustin, Sam (January 31, 2012). "Tech Boom: Andreessen Horowitz Raises $1.5 Billion VC Fund". Time Business. Time. Retrieved April 14, 2012. ^ Mitroff, Sarah. "Y Combinator shows off 39 companies at Demo Day". News. VentureBeat. Retrieved April 19, 2012. ^ Kelly, Meghan. "Andreessen-Horowitz to give $50K to all Y Combinator startups through Start Fund". Deals. VentureBeat. Retrieved April 19, 2012. ^ "Andreessen Horowitz is pocketing a huge win in the $7.5 billion GitHub acquisition". Recode. Retrieved October 16, 2018. ^ "Microsoft Buys GitHub for $7.5 Billion". Andreessen Horowitz. June 4, 2018. Retrieved October 16, 2018. ^ Chokkattu, Julian. "uBiome Raises $4.5M From Angel Investors, Andreessen Horowitz To Crowdsource Microbiome Research". TechCrunch. Retrieved May 30, 2016. ^ Strauss, Karsten. "Can Pixlee Change Image-Based Marketing? $1.5M On 'Yes'". Forbes. Forbes. Retrieved May 30, 2016. ^ "Oculus Rift ensures additional $75 million to take virtual reality mainstream". SiliconANGLE. Retrieved May 30, 2016. ^ "Big-Name Investors Back Effort to Build a Better Bitcoin". MIT Technology Review. Retrieved May 30, 2016. ^ Primack, Dan (June 27, 2013). "Clinkle raises $25 million to kill Square". CNNMoney.com. Archived from the original on January 13, 2014. Retrieved January 26, 2014. ^ Williams, Alex. "PagerDuty Raises $10.7M Round From Andreessen Horowitz For IT Alert Service Modeled On AWS System". TechCrunch. Retrieved August 30, 2016. ^ Lorica, Ben (September 25, 2013). "Databricks aims to build next-generation analytic tools for Big Data". O'Reilly Media. Retrieved February 9, 2019. ^ "Website Testing Company Optimizely Raises $57M Round Led By Andreessen Horowitz". TechCrunch. May 5, 2014. Retrieved May 17, 2014. ^ "Venture Capital Giant Andreesen Horowitz Ploughs $90m into Tanium". InfoSecurity Magazine. Retrieved June 24, 2014. ^ Mandaro, Laura. "BuzzFeed receives $50 million from Andreessen Horowitz". USA Today. Retrieved August 22, 2014. ^ Weber, Harrison. "Andreessen Horowitz-backed startup Forward Networks raises $11M". VentureBeat. Retrieved February 12, 2018. ^ Dixon, Chris. "A16Z Invests in Stack Exchange". Retrieved January 21, 2015. ^ Spolsky, Joel. "Andreessen Horowitz Invests in Stack Exchange". stackoverflow.com. Retrieved January 21, 2015. ^ "Distelli Snags 2.8M to Build Deployment as a Service". TechCrunch. ^ Loizos, Connie. "Onshape Raises $80 Million Led By Andreessen Horowitz". www.techcrunch.com. Retrieved September 30, 2015. ^ Yeung, Ken. "Publishing site Medium takes on $57M led by Andreessen Horowitz". www.venturebeat.com. Retrieved September 30, 2015. ^ C, Hausmann (December 28, 2018). "Crunchbase- Samsara Funding Rounds". www.crunchbase.com. Retrieved December 28, 2018. ^ Russell, Jon. "Improbable Lands $20M From Andreessen Horowitz For Distributed Simulation Tech". TechCrunch. Retrieved January 25, 2017. ^ "OpenBazaar is Entering a New Phase with Funding | OpenBazaar Blog". blog.openbazaar.org. Retrieved September 19, 2017. ^ "Introducing OB1 - Union Square Ventures". www.usv.com. Retrieved September 19, 2017. ^ "OpenBazaar Raises $1 Million for Decentralised Marketplace". CoinDesk. June 11, 2015. Retrieved September 19, 2017. ^ Loizos, Connie. "This 18-year-old just raised $3.5 million to help developers easily add capabilities to their apps". TechCrunch. Retrieved November 21, 2016. ^ Loizos, Connie. "Everlaw Lands $8.1 Million Series A Led By Andreessen Horowitz". TechCrunch. TechCrunch. Retrieved January 19, 2016. ^ Lora Kolodny, "Cardiogram raises $2 million to predict heart health issues using wearables," TechCrunch, October 20, 2016. ^ "Series B - Apeel Sciences". Crunchbase. Retrieved February 8, 2019. ^ Lawler, Ryan. "Quixey alums launch Sigma, a platform to bring merits and certifications online". TechCrunch. Retrieved January 25, 2017. ^ Loizos, Connie. "Cadre collects $65 million in Series C funding | TechCrunch". Retrieved June 21, 2017. ^ Roof, Katie. "Health IQ raises $34.6 million for life insurance for healthy people". TechCrunch. Retrieved December 12, 2017. ^ "Andreessen Horowitz leads seed round in MIT-born 'genetic circuits' startup". www.bizjournals.com. Retrieved January 16, 2018. ^ Coldewey, Devin. "Bio-programming toolkit maker Asimov launches with $4.7M from Andreessen Horowitz". TechCrunch. Retrieved January 16, 2018. ^ Loizos, Connie. "Andreessen Horowitz has a new crypto fund — and its first female general partner is running it with Chris Dixon". TechCrunch. Retrieved March 5, 2019. ^ Dorbian, Iris (March 13, 2018). "Imply grabs $13.3 mln Series A in Andreessen Horowitz-led round - PE Hub". PE Hub. Retrieved April 11, 2018. ^ Davis, Alexander (March 1, 2018). "A Connected-Car Platform Fuels Its Tank With NEA, Andreessen". Retrieved December 21, 2018. ^ "Andreessen Horowitz among investors in PeerStreet Series B – Bankless Times". Bankless Times. April 5, 2018. Retrieved April 11, 2018. ^ "CryptoKitties Wins $12 Million From Investors, Including Early Facebook Believer Andreessen Horowitz". Fortune. Retrieved April 11, 2018. ^ Williams-Grut, Oscar (February 7, 2018). "Andreessen Horowitz is backing a crypto-powered 'internet computer' that could be the future of cloud computing". Business Insider. Retrieved July 3, 2018. ^ "Very Good Security makes data 'unhackable' with $8.5M from Andreessen". TechCrunch. ^ Menn, Joseph. "Andreessen expands venture capital business". Financial Services. The Financial Times. Retrieved April 14, 2012. ^ Cain Miller, Claire (June 15, 2010). "Andreessen Horowitz Hires a Female Partner". The New York Times. Retrieved April 19, 2012. ^ "Disrupting the disrupters". Technology Quarterly: Q3 2011. The Economist. September 3, 2011. Retrieved April 14, 2012. ^ a b c Fielding, Cortney (June 29, 2011). "Larry Summers to join VC firm Andreessen Horowitz". GigaOM. Retrieved September 28, 2012. ^ Tam, Pui-Wing (September 26, 2012). "Andreessen Horowitz's New Political Mover-and-Shaker: Adrian Fenty". The Wall Street Journal. Retrieved September 28, 2012. ^ Gaus, Annie (April 2, 2019). "Andreessen Horowitz, Silicon Valley VC Firm, to Refocus on High-Risk Crypto Bets". TheStreet. Retrieved April 3, 2019. ^ Konrad, Alex. "Andreessen Horowitz Is Blowing Up The Venture Capital Model (Again)". Forbes. Retrieved April 3, 2019.